As we grow, we are always looking for valuable people to add to our current team. We offer compensation that is higher than average for our industry, an entrepreneurial environment where initiative and hard work are rewarded with promotion and an opportunity to make an impact on your own future. Crew Foreman – Job responsibilities include locating property pins, laying out fence job according to sales contract, installing the fence effectively, managing your laborers appropriately on the job, ensuring customer is happy with fence installation prior to leaving to job site. The proper candidate must have a valid driver’s license and a clean driving record. Laborer – Job responsibilities include assisting crew foreman with fence installation, laying out materials and concrete, digging and setting up posts and job site cleanup. Construction Manager – Job responsibilities include scheduling, material ordering, assisting and managing crew foreman and acting as liaison between customer and office. 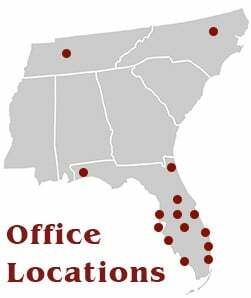 Branch Manager – Volusia County – We are opening a new office in Volusia County and are looking for a qualified candidate to manage this new location. Branch Manager – Flagler County – We are opening a new office in Flagler County and are looking for a qualified candidate to manager this new location. Aluminum Gate Fabricator – Job responsibilities include ordering aluminum extrusions and cutting, fabricating and welding custom gates and railing. The proper candidate should be able to weld both steel and aluminum, be familiar with operating a punch press and have used an automated bending machine. Access Control Technician – We are looking for a qualified candidate to head up our new Access Control Division. The proper candidate should have significant experience ordering, bidding and working with gate operators, telephone and intercom entry systems and accessories, and all products related thereto.